There are various models of manual coffee grinders available today. They have made great strides in functionality and design since they initially served the desires of coffee lovers as a bowl and a stick. Apart from the fact that this requires a lot of time, it was also messy and did not supply the ideal outcome. Majorly, manual coffee grinders provide you with more control when grinding your coffee beans than electronic coffee grinders do. One can stop grinding whenever you want in order to know how fine or how coarse your coffee beans are. Also, you are able to monitor the grinding much better and ensure that the coffee beans are blended evenly. Most people are specific about the uniformity of the coffee grounds they like, in case you are one of those people, you will benefit greatly from a manual coffee grinder. Also, you are saving electricity since you are doing your own work. The difficulty with pre-ground coffee is the fact that you make use of only a scoop or so at a time. If you have acquired a jar, then over time the ground coffee will lose it flavor and freshness. 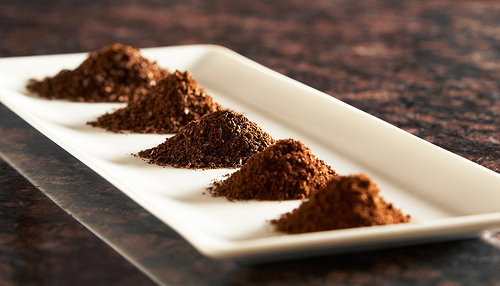 Coffee drinkers use manual grinders to make the best cup achievable. The advantage of using one is that you get ultimate freshness from the coffee beans since they are being oxidized through the process. Once you start to put the coffee bean through a manual grinder, the flavor is made obvious immediately. You can also control the quantity you grind based on the number of cups you want, and then the coffee beans remain fresh for next time. You also have better choices of flavors when you purchase coffee beans. If you want a perfect cup of coffee that taste great, then there’s no easier technique than to grind your coffee beans with a manual grinder. It’s much better and inexpensive, and will provide you with the control that you want. If you are searching for manual coffee grinders that will give you what you wish in a cup of coffee, then Silva Adjustable Burr Herb and Spice Grinder Mill is the right choice to choose.